Every year immunisation helps avert an estimated 2.5 million deaths around the world, and millions more debilitating illnesses and disabilities. It is one of the most cost-effective health investments, with proven strategies that can reach the most dispersed and remote populations. Vaccinations can prevent some of the world’s biggest killers, including diphtheria, measles, pertussis (whooping cough), pneumonia, rubella and polio. Progress in immunisation efforts is alternatively stagnating or holding steady, with around 83% of the world’s children receiving the benchmark diphtheria-tetanus-pertussis (DTP3) jab in each of the last three years. In 2012, this amounted to some 110.6 million infants. Progress against some diseases has been stunning. Smallpox has been eliminated and 84% of children around the world have now been given three doses of the polio vaccine, with India recently announcing that the highly infectious and deadly disease had been eradicated. It has, however, made a comeback in Syria and even Gaza, and remains epidemic in Afghanistan, Nigeria and Pakistan. Access to many other recommended vaccines, especially the newer ones, remains patchy and dependent on levels of wealth. A rotavirus vaccine developed in 2012 against severe diarrhoeal diseases which kill around 760,000 children under 5-years-old each year has a global coverage of just 11%. Similarly, global protection against haemophilus influenze type b (Hib) which causes meningitis and pneumonia is estimated at 45%. In 36 of the 48 countries and territories at risk of yellow fever in Africa and the Americas, just 37% of the population is covered. The World Health Organisation (WHO) cites several barriers to extending protection from preventable killer diseases in the Global South, such as limited resources, competing health priorities, poor management of health systems and inadequate monitoring and supervision. More than half of the world’s 22.6 million children who have not received a DTP3 shot live in just three countries: India, Indonesia and Nigeria. Consequently, one out of five of the world’s children does not get the protection they need and, as Unicef puts it, “the ‘unreached’ fifth child is defenceless against killer diseases”. Research shows that scaling up the use of existing vaccines in 72 of the world’s poorest countries before 2020 could save 6.4 million lives and avert $6.2 billion in treatment costs and $145 billion in productivity losses. A 2010 report by Oxfam and Medecins Sans Frontiers argued that one of the biggest obstacles to immunisation campaigns remains the power of the five biggest pharmaceutical companies – GSK, Merck, Novartis, Sanofi and Wyeth/Pfizer. These, the report said, hoard patents to prevent generic vaccines coming to market for several years and impede the development of emerging suppliers that lack technological capacity in the face of complex vaccines that cannot be reverse-engineered. The Global Alliance for Vaccines and Immunisations (Gavi), which was founded in 2000, has taken great strides towards immunising millions of the world’s children, by reaching agreements with the big pharma firms for discounts and ‘tiered pricing’ for some of the newer vaccines – such as Hib and Hepatitis B. But, critics argue, the prices involved are still too high to allow full coverage for the world’s children, and prevent emerging suppliers from marketing affordable generic versions, tailored to the particular strains of diseases prevalent in target countries. Vaccine research and development programmes are also dominated by large multinationals who may be motivated more by considerations of product entry, market advantage and investor returns, than they are by universal coverage of the world’s unimmunised children. Product development Partnership (PdP) is one alternative model that has been advanced by the WHO and PATH to entice R&D investment, to the developing world. It involves assigning permission to license vaccines at affordable prices in return for the transfer of know-how support for local clinical trials. The Meningitis Vaccine project in Africa and India is one successful example of this. Such success stories though are more likely with adaptations of existing vaccines, rather than new varieties. Another criticism of the Gavi public-private partnership model is that it concentrates exclusively on what the World Bank terms ‘low income countries’, neglecting great lakes of poverty in ‘middle-income countries’ – such as India, Pakistan and Ghana – that contain two thirds of the world’s poor. For such countries, any decision to mount an immunisation campaign must be weighed against consequent shortfalls in wider health system funding, which can also have a knock-on effect on infrastructural resilience in dealing with killer diseases. Several countries are soon expected to “graduate” from the low income category that qualifies them for discounted vaccines under the Gavi model, but the group wants to ensure that they are still granted access to “fair prices” and other support enabling them to maintain their immunisation records. Gavi, which is preparing a review of its policy to be announced soon, is a dynamic organisation with internal debates over, for example, allowing Hep B vaccination programmes in China. China and India contain a third of the world’s unimmunised children. Even so, in crisis situations, some NGOs argue, aid agencies lack access to the Gavi-prices for newer vaccines and so their response is symmetrically constrained. Complicated administrative issues can provide a formidable series of hurdles for vaccination campaigns, on several fronts. Traditional needle injections need trained health care workers, which are often lacking in developing countries. They also create quantities of hazardous waste that require safe disposal. Several doses of a vaccine often have to be administered in repeat shots - requiring vaccines to be kept refrigerated in an environment with stable electricity supplies - and such jabs tend to be administered in one clinic which can be far from the areas in which target populations live. 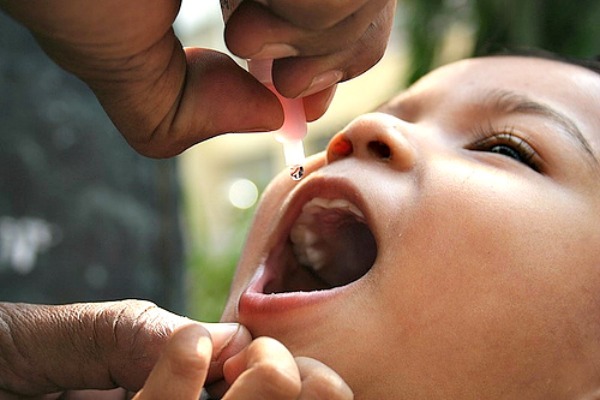 One reason for the success of polio campaigns has been their use of an oral vaccine. Health care professionals are already exploring other means of administering vaccines, such as through micro-needles, or through inhalation tubes or patches, similar to nicotine-substitution products. A measles vaccine that operates on this principle is currently being developed. But these will take time to come to market, and perhaps longer still until they are licensed to Gavi. There are other structural barriers to immunisation campaigns. Resources may not exist to monitor and track the progress of vaccination efforts. Fragile district health systems may not be able to support such campaigns or provide follow-up afterwards. Basic infrastructure may be lacking such as roads to target areas, lorries to transport the vaccines, and warehouses to store them once they have arrived. Electricity to power lighting and refrigerators may not exist. Nor may the lighting or refrigerators. Local security is often compromised by phenomena such as rampant crime, military conflicts or official corruption. The relevant community leaders and authorities may be disengaged from the issue, awareness campaigns may be under-funded or simply not there. And information about the target population may not exist, due to inadequate census forms, contested catchment areas, poor administrative practices, or local custom. Studies also show huge inequalities in immunisation coverage within target countries, centred around class, location and, to a lesser extent, gender. In Pakistan, 90% of the country’s richest quintile is covered by DTP immunisation programmes, while just 30% of the poorest quintile enjoys the same benefit. Sixty two percent of children in Nigeria’s urban population are protected against DTP diseases, but only a quarter of the rural population. In Azerbaijan, 76% of boys receive the standard immunisations, but only 65% of girls. Cultural barriers to immunisation campaigns can also be a problem. Lack of demand for vaccinations may be one of the most intractable barriers to overcome. Consensus supports a global target for universal health coverage (UHC) as an essential Millennium Development Goal (MDG) after 2015. This would require a massive expansion of immunisation efforts to protect the world’s children from deadly diseases. But sceptics question whether such lofty hopes will ever materialise in practice. Several health-related MDGs which were supposed to have been met by next year still appear far away. Maternal mortality was supposed to have fallen to three quarters of the 1990 level but one maternal death is still reported every minute in India. The UN Development Programme says that “efforts must be redoubled” if child mortality is to be reduced by two thirds, from what it was in 1990. The MDGs are hugely important in terms of setting world health agendas and influencing resource transfers. The WHO wants the MDGs to be framed as a compact, linking developing world aspirations with the required contribution from the developed world. Health should be enshrined as a human right, the WHO argues, with a greater focus on the eventual goals, targets and indicators on health equality, non-communicable diseases, health systems, and health systems. The Gavi alliance supports including “the fully-immunised child” concept in any post-2015 MDG framework. Routine immunisation coverage is a proxy indicator of the strength of a health system, a social measure of the access to health for all, and a benchmark of an individual’s right to life-saving treatment, they contend. MDG goals should thus address children not reached - or incompletely reached - by vaccines. A 90% global coverage rate for all routine vaccinations, achieved while health systems were strengthened, would be “an aspiration worth striving for,” they say. Indicators could then be measured by household surveys on a ‘per child’ basis. However some health professionals argue that the UHC concept is not easily understood or defined, often eschewing mention of specific health services covered. Service coverage and financial risk protection, for instance, are currently not routinely assessed by governments, making indicator measurements problematic. MDG-sceptics query how universal health coverage will ever be achieved at a time when Overseas Development Aid (ODA) as a percentage of Gross National Income (GNI) is falling in the developed world. The European Commission’s audit of development aid spending last year found that the EU member states had made no progress towards a Millennial goal of earmarking 0.7% of their gross national incomes for overseas development aid. Moves are underway from some EU states to have some European private sector investment counted as ODA from the state in which it was made. Companies such as Philips are making major healthcare investments in Africa, for example. But while counting these types of projects as ODA may allow the 0.7% target to be met on paper, it will not involve any additional funding and begs the question of where the necessary revenues will come from to make universal health coverage a reality. Aid spending is still popular across the EU but campaigning by some far-right groups for the European parliament elections in May has increasingly focused on a demand for ODA to be spent at home. A Gavi alliance assessment of overall funding needs for the 2016-2020 period, also to be presented in May, will spotlight requests from the Global South for assistance to defeat vaccine-preventable diseases. The WHO says that if resources are not given to Gavi, global immunisation programmes will “collapse”. Sustained ODA spending on vaccination programmes is needed for the next five years at least, the health body says. Commission sources point out that the EU remains the world’s biggest donor and say that overall levels of aid spending have been maintained. They note that global immunisation funds received a record replenishment in December 2013, while Gavi expects an increase in funding. Gavi officials, though, identify funding shortfalls as a key obstacle, and relate them to austerity measures in EU countries, and the financial implications that follow. The European Commission says that it does not expect any changes to be made to the EU’s 2014-2020 budget after the parliamentary elections. Veronique Lorenzo, the head of The European Commission’s DG Devco Health Unit said that “for us, very clearly what makes sense is an umbrella goal for the promotion of universal health coverage. That doesn’t mean ‘everything for everyone from day one’. It is a long path and each country has to decide which segments of the population to cover, for what, and for how much. But it is clearly the most promising avenue for better access for the poorer segments of the population.” Child and maternal mortalities could factor as indicators as sub-targets, and so could reducing disease incidences, but it was too soon to talk about specifics, she said. “Some civil society organisations would argue that Gavi could do a lot more, that it is always negotiating with the same producers, and is very close to pharma firms so there’s a margin of interpretation,” she added. The big immunisation debate, as she saw it, was over excluding middle-income countries with great reserves of poverty from vaccination campaigns: “Gavi has a ceiling for supporting low income countries but how do we transition these countries out [of such categories] without people falling off the edge?” she asked. The spread of medicine-resistant strains of malaria was a concern for the Commission, although these are currently limited to border regions of Thailand, Myanmar and Cambodia. Lorenzo said a vaccine for malaria had been talked about for 20 years and ventured no opinion about its likelihood. The WHO’s key areas for policy debate around immunisation were thus “how do we reach those who are not currently reached by vaccines, and how do we make sure that countries have the resources to get additional life-saving vaccines that are available on the market for the potential benefit of most of the people there,” he said. While three-five big manufacturers were needed to produce vaccines in sufficient quantities to secure long-term affordable supplies, “I would call on the donor community to look carefully at how we can support Gavi and also work on other mechanisms like an evolving fund to help more people access vaccines,” he said. Crucially, “we need to be very clear about accountability at all levels,” Okwo-Bele said. “You need to know what your money is buying and you need to quantify to what extent you’re getting the results you were planning, because vaccine strategies are known. The resources are more or less there - we should get more obviously – but I think making sure that the health services in target countries are able to deliver vaccines and getting other interventions in place is the main bottleneck. Expanding health services is not easy – that’s why we talk about universal coverage – and you need to do immunisation work district by district, making sure that each one has the power, the capacity, the commodities and infrastructure to facilitate the delivery of vaccines.” More work had to be done in countries such as Chad, in Okwo-Bele’s view. Making this would happen would require “a consistent supply of appropriate vaccines at an affordable price, a robust health system, which includes a solid monitoring and evaluation system as well as trained health workers, and strong political leadership to ensure that people all over the world continue to be empowered to demand and access these life-saving vaccines,” he said. Germany had backed international efforts to this end by increasing its commitment to Gavi from €10 million to €30 million between 2011 and 2012, he said. 2015: Current MDG framework due to expire, and new one to be instituted.